Craig Joseph Getzloff, 51, was arrested in Boise, Idaho, after allegedly posing as a real estate agent to steal jewelry and prescription drugs during open houses. Police have attributed a series of burglaries in Boise and Meridian, Idaho, to a man who they say posed as a real estate agent. Craig Joseph Getzloff, 51, was arrested on Nov. 16 after he attempted to break into a home located in Boise. Police officials in Boise and Meridian said they’d been tracking Getzloff when they noticed him trying to break into the home. Getzloff is a suspect in at least eight other burglaries in the area, and all eight homes are on the market for sale. According to investigators, the suspect gained access to the victim’s homes by posing as an agent who wants to tour the home. The victims reported missing jewelry and prescription medications. 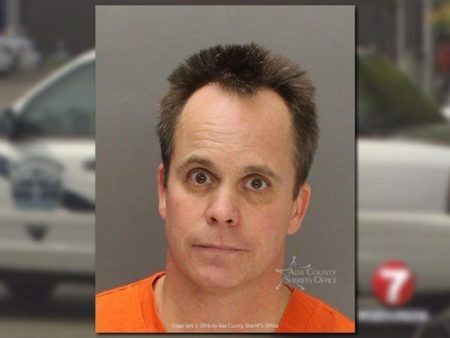 According to a report by KTVB, Getzloff is facing charges of burglary, grand theft, possession of a controlled substance, possession of burglary tools and malicious injury to property. Getzloff’s bond is set at $100,000, and he’s awaiting a preliminary hearing on Nov. 30.